Planning an expensive guided hunt? Don’t risk your money without knowing the opinions of past clients. Maximize your opportunity for successful hunting trips, join NextHunt today! Search and submit reviews on Hunting Consultants, Meat Processors and Leasing agents too! It's always free to submit a review, share your opinion today! Every opinion counts, submit a review now, it's free. NextHunt.com is the leader for outfitter & guide reviews, taxidermist reviews, game processor reviews, hunting consultant & agent reviews, hunting lease broker reviews. NextHunt is the best way to find high quality outfitters, guides, lodges and related hunting services. Hunters use NextHunt to search for exclusive feedback on guided hunts in every state, province and country for all species of game. 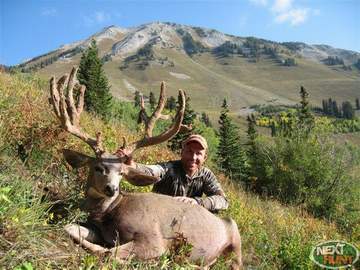 The information provided allows hunters to research and book enjoyable, high quality guided hunting trips. Plan your perfect hunting trip with NextHunt, the world's best hunting travel site. Members can browse thousands of reviews, opinions, photos and more - all provided by hunters like you. If you need personal service we are here for you. No wonder so many hunters make NextHunt their first stop before every trip. Complete the order form to join. Pay nothing for 7 days, You won't be charged until trial period ends. Cancel after your free trial and receive a prorated refund.